Suffering is inevitable in a fallen world. Nancy helps you handle suffering in a way that brings God glory. A tree receives nourishment so it can bear fruit and nourish others. God wants to fill you up with His Word so you can spread that Truth to others. Small choices can have big consequences. Every wise decision leads you toward true happiness, and every unwise choice leads away from it. The Psalms describes the wicked person as “chaff that blows away in the wind.” Nancy describes what this means. How did Jesus live His life without sin? He didn’t use supernatural power as God; instead He lived a sinless life as a man. His example gives us hope. You are receiving counsel all the time. The people you spend time with and the media you consume is influencing your thinking. Delighting in the Bible can be like developing a taste for certain kinds of foods. Nancy shows how to maintain a hunger and appetite for God’s Word. Around the New Year holiday, it seems like everyone is trying to pursue happiness through parties. But true happiness comes in an entirely different way. The God who created everything wants to know you personally. Nancy shows you why this is so amazing and life-changing. Nancy Leigh DeMoss looks at the Scriptures to help us deal with the questions we ask when faced with tragedy. Nancy Leigh DeMoss reminds us that sin is a reality in today's world. When you’re dealing with sickness or loss, it can feel like wasted time. But the suffering of Jesus wasn’t wasted at all. I am a worm and not a man. It sounds like a simple statement of humility, but Nancy points out this statement from the Psalms means so much more. Jesus knew what it meant to grieve deeply. Whatever pain you go through, He knows what it feels like. Mark Vroegop will explore the lament of Jesus. Every story needs a turning point. Today we’ll look at the turning point in Psalm 22. Sometimes it seems like God is ignoring you. If you feel that way, you’re in good company. Jesus Himself felt abandoned. A discussion guide that will help you get all you can out of Nancy's "Knowing the Shepherd: Insights from Psalm 23" DVD. Answer key for Knowing the Shepherd (Message Listener Guide). Can you imagine what it will be like to live forever? It boggles the mind, yet it’s an important topic. What is the biggest problem you’re facing right now? It’s hard to believe, but that problem could become a great source of joy. There are few things heavier than guilt. If you feel weighed down by your past, find out how to let those burdens go. The Lord is my Shepherd. When you feel like nothing is at peace, learn to still your soul in the presence of your Shepherd. Do you feel like you’re beside still waters? Or racing down a waterfall? Damaris Carbaugh shows how to meet with the Lord at the still waters. If you feel worried, frazzled or restless, find peace in the Good Shepherd. Sometimes we leave the Good Shepherd and end up in a dangerous place. Other times, we end up in a difficult place as part of the Shepherd’s plan. Sometimes we leave the Good Shepherd and end up in a dangerous place; it’s our own fault. If you were asked to recite Psalm 23 right now, there’s a good chance that you’d be able to do it. But you might not be living according to it. If God always provides, why do some of His children sometimes seem to be struggling financially? No one is more influential in your life than you are, because you're constantly talking to yourself. You will have problems no matter what. It’s a reality we all face. Learn how to prepare for the crises that are bound to come. The Thanksgiving and Christmas holidays are supposed to be a time of great joy. So why do so many people feel so bad around this time? When you face a crisis, where do you turn for comfort? Learn the most effective place to turn when you’re worried or afraid. Who Meets Your Deepest Needs? If there’s anything we Christians should be known for, it’s joy—even when our season of life, the circumstances we’re going through are difficult. In Psalms we read "do not fret." If the psalmist knew about the credit crunch and subprime mortgages, would he have given us an exception? You can now access news programming twenty-four hours a day. But just because you can, that doesn’t mean you should. Evil actions and words affect our nation. They also affect our homes and relationships. Nancy helps you respond to evil in a way that brings glory to God. When you have to wait, it can be unsettling. Life is on hold until some big thing in life changes. Find encouragement and hope during your times of waiting. Rather than copy antics of evil people or grow discouraged, we need to look at the big picture. Is talking to yourself a sign of insanity? Not at all! Today Nancy points out that talking to ourselves can be a good idea. Do you feel desperate and overwhelmed today? Join Nancy and discover how those desperate times can become the most meaningful days. Have you ever felt forsaken? You’re in good company. Even Jesus felt that way. Why does pain exist? Couldn’t God spare Christians? Here’s one of the most amazing themes throughout Scripture: God dwells among His people. Why is this so amazing? Here’s one of the most amazing themes throughout Scripture: God dwells among His people. Why is this so amazing? Nancy will explain. “Be still and know that I am God” gets said in hushed tones in many churches. But Nancy says that phrase was probably delivered in strong, commanding tones. The Bible tells us that God will be a refuge in times of trouble. Nancy explains how God acts as a refuge, even while allowing the storm to blow around you. Do you ever feel uncomfortable reading stories about the judgment of God? But the desolations God brings upon the earth can actually be a source of comfort. Nancy Leigh DeMoss addresses the need to trust God during times of uncertainty and relates her comments especially to the 9-11. Nancy Leigh DeMoss talks about our source of trust during uncertain times. Does it seem like enemies of the gospel have so much strength that they’re invincible? Nancy will give you some new perspective that will give you hope. Trouble will always be with us. You’ll never escape it in a fallen world, but there is a refuge you can run to during times of trouble. This year our world has been shaken by floods, tornadoes, earthquakes, hurricanes. and a tsunami. Nancy opens Psalm 46 for a life shaken by storms of life. Nancy received an unexpected letter that threw her into a tailspin. She turned to a passage of Scripture that spoke to her heart. A mom knows the difference between her child's cry for help due to injury vs a simple complaint. Scripture is full of examples of God answering prayer. But why does it seem as though sometimes He doesn't answer? Emergency workers are quick to spring into action, but they have to be called first! God is wiser and more powerful than any firefighter. When you're tempted to sin, where do you turn first? To your will power? A godly friend? Or to God? When trouble comes we need to cry out to God for help. When a prayer isn't answered the way we asked for it to be, does that mean God isn't listening? When you eat, you grow less hungry, right? The opposite thing happens when you read the Bible. The more you partake of God’s Word, the more you want. When you get ready to teach others, how do you prepare? Pastor Eric Mason says Bible study helps could be meaningless unless you have a heart of repentance. When you get ready to teach a passage of Scripture to others, it won’t be very effective unless you preach it to your own heart first. Have you taken the time to fully realize that everything we have comes from the hand of God? Before standing to teach other women, you need to let God's Word affect you. Dr. Eric Mason explains the power of repentance in the life of a Bible teacher. 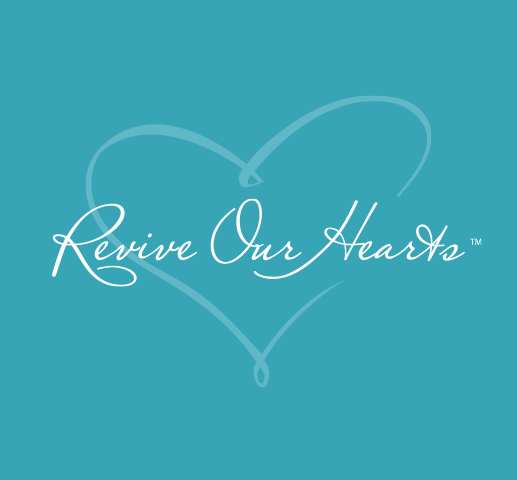 Nancy Leigh DeMoss gives us insight into why we eat even when we are not hungry on today's Revive Our Hearts. What would happen to a community if everyone stopped being grateful? Explore that situation in a dramatic Thanksgiving parable. Thanksgiving. The word brings up images of family gathered around a table ready to dig into a feast. But the real test of thanksgiving comes in hard times. Will You Choose Bitterness or Joy? When you’re in a struggle, where do you look for help? Nancy wants to invite you to look up and take those needs to the Lord. Nancy says life doesn’t necessarily get easier as you get older. She’ll tell you why you can still trust God all your days. As she nears her sixtieth birthday, Nancy shows how to lean on the Lord in your weakness and use His strength to encourage others. There’s a big difference between asking God for what you need and demanding what you want. Today, Nancy teaches you to recognize the difference. When Do We Need Revival? We need a fresh visitation of the Spirit in revival when these fifty evidences characterize our life. Pastor Bill Elliff looks at the serious needs of our world today and explains why revival represents true hope. Do you sometimes feel that you’ve made a mess of things? If you ever feel like you just can’t get it right, take heart, you’re a candidate for grace. Everyone was born, and everyone will die. Well … not everybody. “Before there was time, there was God.” Doesn’t that boggle your mind? It’s the information age. We have more access to sources of knowledge than any previous generation, but it takes wisdom to handle that information. What would it look like for you to serve God with gladness today? As you wonder how to give thanks in the midst of your trials, remember that your Creator takes care of His creation. When we come to the place of praise, it focuses our minds on the things that are pure and good and true. We sing because this pleases Him—because He is worthy and we are not. Do you notice God's goodness? When is the last time you shouted for joy? In Scripture, God deserves shouts of joyful praise. Nancy will talk about why and how we should praise. At church, you should expect 100 percent audience participation. Nancy will look to Psalm 100 as a model for how we can participate in praising God. If you don’t think you have musical talent, can you still worship? Nancy points out that our worship doesn’t depend on us. Who does it depend on? Nancy helps counsel your heart with the truth about post-holiday letdown or any other time you feel down. As we teach our kids how to worship God, let them respond without reservation to His call in their lives. We all face challenges in our lives. The question is, with what kind of attitude are you facing yours? What do you know about praise? Do certain Scripture verses come to mind? Nancy Leigh DeMoss unpacks Psalm 107, giving hope to anyone in distress, danger or despondency. She'll help you seek the Lord and be satisfied in Him. You can’t fix every problem. Nancy shows you why you don’t have to try to manipulate, fix or rescue yourself from trouble. When you need deliverance from trouble, you can take comfort in knowing this—you’ve already actually been delivered. Nancy Leigh DeMoss asks which is bigger: your storm or your God? Do you ever feel like you fall out of God’s favor when you blow it? Lauren Chandler knows what it’s like to be tempted to think that. Lauren Chandler heard the news no wife wants to hear: Her husband had a brain tumor. Learn how she learned to trust God in the middle of fear. You can’t fix every problem. Nancy shows why you don’t have to try to manipulate, fix, or rescue yourself from trouble. You don’t have to try to manipulate, fix, or rescue yourself from trouble. Learn to lean on God's faithfulness. When you need deliverance from trouble, you can take comfort in knowing this—you’ve already been delivered. Have you heard that Jesus went to heaven to sit at the right hand of God? Does that mean anything to you? We’re told in the New Testament that Jesus is sitting at the right hand of God. But one moment is recorded of Jesus standing at the right hand of the Father. The Old Testament kings were not allowed to be priests, and priests couldn’t serve as king. But there were two people called by God to serve as both. There’s a Scripture that says the Messiah will “drink from a brook.” What’s the big deal about that? Nancy says this isn’t just a throwaway line. Would you like to see revival? Would you like to see people motivated and empowered to serve God? Have you been hurt or needy? Jesus knows how you feel. Because of what He has done, your hurt can be an occasion to give thanks. Ancient people worshiped animals. It’s easy to recognize the futility of that kind of idolatry. But the truth is all of us are tempted to worship other Gods. “Hallelujah.” That word gets used a lot, but using it is very serious. Nancy explains what the word means and why it matters. Nancy says you can’t worship and whine at the same time. She's honest about the temptation to whine and how meaningful praising God is during those times. There are many times in Scripture when God is likened to a rock or cornerstone. What does this mean for us, and why does it matter so much? Do you ever feel like reading the Bible is just another task to check off a list? Nancy will show you how to make it a much richer experience. There’s one habit that could transform your year ahead. Nancy gives you an important challenge. Nancy challenges you to live purposefully in 2012. There’s one specific action you can take that will make a big difference in the direction of your year. Nancy Leigh DeMoss calls God’s Word an antidote to temptation. Find out why reading the Bible will help you avoid wrong choices. Nancy says that your relationship with God will never be any stronger than your relationship with God’s Word. Find out how to make that relationship stronger. What do you do with junk mail? You probably throw most of it away unopened. But when you get a letter from someone you love, you can't wait open it. Do you understand what you read in the Bible? There is One Person who can help you get more out of your reading than anyone else. Do you wish you read the Bible more consistently? Nancy says more will power isn’t the answer. You need something else. In an era of Blackberrys, blogs, and Facebook, you probably take in volumes of information every day. It might tempt you to scan everything. Nancy views her iPhone as a mixed blessing. It helps her do a lot of things faster. But it can also be a big distraction when she’s trying to read the Bible. Have you read the whole Bible? Hear about a woman who taught the Bible all the time yet she had never read the entire thing. Will you ever be so mature that you don’t need to pray, “Lead me not into temptation"? Will you ever get to the point where sin offers no enticement? Nancy mentions Marvel's Guardians of the Galaxy to show you who the true Guardian really is. Imagine a child’s small hand lost inside her father’s strong hand. Nancy says that’s a picture of our security in Jesus. Find out why you don’t have to fear. Where Does My Help Come? Where do you first turn when you need help? Friends or family? Food or drinks? The Internet? Ultimately, none of those things will provide the help you need. Imagine a prisoner who sees the door to his cell open but says, "I’d rather stay here!" Nancy makes this comparison to people in sin. Almost everyone has good intentions. We all want to change the world for good, but without God’s help we can do nothing. Almost everyone has good intentions. We all want to change the world for good. When’s the last time you wept in church? You’ve probably cried tears of joy, but what about tears of repentance? What’s the best way to let the world know what your church is doing? The answer has nothing to do with hiring a PR firm! We usually pray that God would take away our tears. But Nancy points out that positive tears precede revival. When you see the pain in the world and the sin in your own heart, do you ever just slow down and weep? At a wedding everyone loves it when the bride appears. Nancy shows the Church as the Bride. No matter how many good programs a church has in place, it still needs revival. This is the force that gives life to the Body of Christ. Your kids probably know the list of rules they have to follow in your home, but do they understand the deeper moral issues behind those rules. One day we will give account to God for the spiritual condition of the next generation. Wouldn’t it be nice for parents if they had a recipe for perfect kids? Instead of following a list of steps, however, parents need to cry out to God. Imagine a young person who is immersed in church activities and attends a Christian school but he or she doesn’t have a heart for God. What is your family's purpose? Clothing. Music. TV. It seems like parents and children have been disagreeing about these topics for generations. Learn how to tackle subjects like these. Is there any difference between men and women, or do distinctions just come from society? When you hear about war and terrorism, do you find yourself wanting to pull your family close, and stay inside until the world is safer? As a mom, you're always teaching. Nancy challenges you to consider what your children are learning from you. Nancy passes along vital information that will help you leave a godly legacy for your children. "What if . . ." We spend so much time worrying about the future instead of trusting the only Person who knows the future. When you spend time with God in prayer and His Word, it’s kind of like storing up reserves of supplies to use in a crisis. Calm. Peaceful. Do these words describe your heart? They can as Nancy describes in a series we’ll begin today. It’s called, How to Have a Quiet Heart. It's not wrong to ask why. But are you asking with turmoil that says, “God, if You don't explain it, I won't love You; I won't trust You; I won't obey You”? Nancy walks you through the much-loved and the horrible-sounding parts of Psalm 137 and shows how it points us to the gospel. When you’re in the middle of a painful situation, do you feel you can’t sing? Nancy tells of believers who sang when it seemed there was no earthly reason. Imagine owning a business and receiving a big order, but the order came from Planned Parenthood, a major provider of abortions. Would you fulfill the order? How do you sing the songs of Zion when you’re living in Babylon? Nancy Leigh DeMoss talks about past hurts and how to overcome the pain.